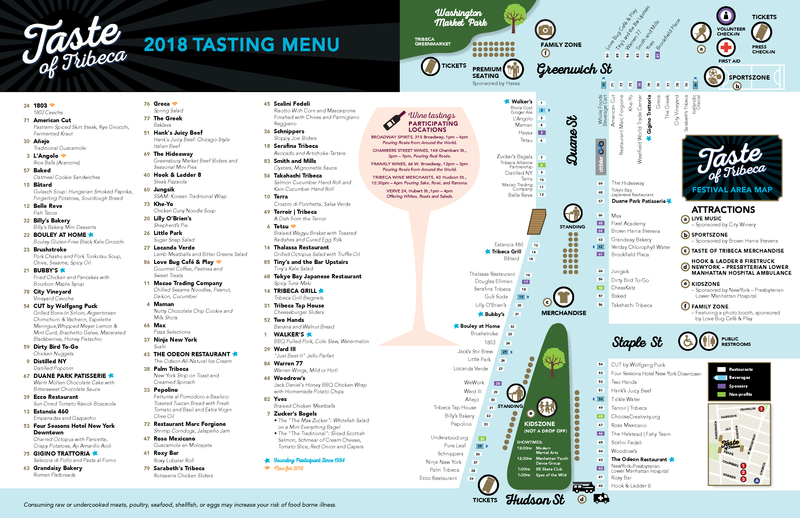 Step away from our festival grounds and visit some of our neighborhood’s favorite shops and bars for samplings of specially selected wines, and New York-crafted beers and ciders. No ticket is necessary for the wine tour. One ticket provides for two 4-ounce pours of beer or cider. Frankly Wines pouring Rosé Around the World. Discounts on 6 bottles and cases. Tribeca Tap House pouring Ommegang Brewery, Five Boroughs Brewing Co. and Classic New York Beer Co.